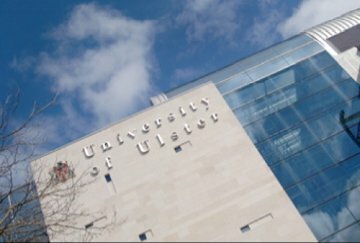 This week the University of Ulster’s Belfast Campus will play host to the annual international Summer School on Transitional Justice. "It is increasingly recognised that to resolve entrenched conflict women have to be at the table, central to negotiations, and engaged consistently in implementation. Our Summer School is central to knowledge exchange to ensure that happens both in Northern Ireland and elsewhere". The Summer School is taught by some of the leading experts in the world on issues related to women's inclusion in conflict negotiations, conflict mediation, reparations and transitional justice including Professor Monica McWilliams, Professor Fionnuala NÃ­ AolÃ¡in, Dr Catherine O' Rourke, Eilish Rooney, and Dr Khanyisela Moyo. The Summer School is also delighted to welcome visiting speakers Mary McWilliams, Jane Gordon, Dr Aisling Swaine and Dr Sari Kouvo. The Summer School presents a unique opportunity to showcase our research as well as a wealth of practical policy experience at TJI and among its network. This includes a visit to Ashton Community Trust's Bridge of Hope Grassroots Transitional Justice programme. Last year women from Belfast's Falls and Shankill Women's Centres piloted the TJ Grassroots Toolkit with staff from TJI. The Summer School academic programme is also complemented by a full social programme which aims to introduce participants to Northern Ireland. The programme includes a visit to Parliament Buildings, where TJI Professor and former MLA Monica McWilliams will speak to participants about the Northern Ireland peace process; a murals tour of Belfast with TJI Co-Director Professor Bill Rolston; a tour of the Crumlin Road Gaol with a panel discussion with ex-prisoners, and a closing dinner in the beautiful surroundings of Belfast Castle. The Summer School builds on the expertise developed in the Masters programmes of the TJI, including the LLM in Gender, Conflict and Human Rights and the LLM in Human Rights Law and Transitional Justice. 1.The Summer School on Transitional Justice from Monday 17 to Friday 21 June the Belfast Campus University of Ulster.Programme attached. 2.For more information see the TJI website:http://www.transitionaljustice.ulster.ac.uk/or like TJI on Facebookhttps://www.facebook.com/TransititionalJusticeInstituteor follow @TJI_ on Twitter.